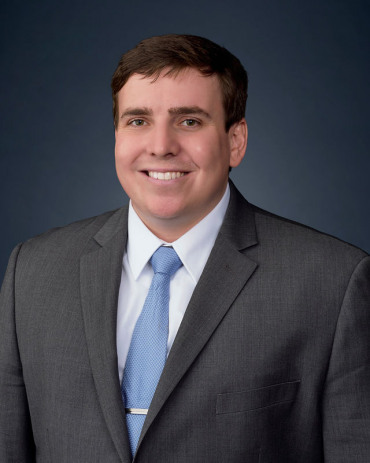 Blake L. Kilday is an associate attorney in Meriwether & Tharp’s Woodstock office. Blake obtained his undergraduate degrees from the University of Georgia and his law degree from Georgia State University College of Law. While attending Georgia State University College of Law, Blake was a member of the executive board of the Student Health Law Association and competed in several national health law competitions. Blake also represented clients for the Health Law Partnership (HeLP) Legal Services Clinic and assisted in drafting bills for Georgia legislators. After taking the Georgia Bar Examination, Blake interned for the Honorable Philip Raymond III of the Bibb County Superior Court, where he participated in numerous court proceedings involving family law matters and conducted extensive research on the subject of family law. Before attending law school, Blake worked as the Vice President of Operations for a country club and golf resort on Daufuskie Island in South Carolina. Blake grew up in Woodstock and returned to the area in 2017 after being admitted to the Georgia Bar to join the Meriwether & Tharp team! In his free time, Blake enjoys spending time with his family, watching football, and playing lacrosse.